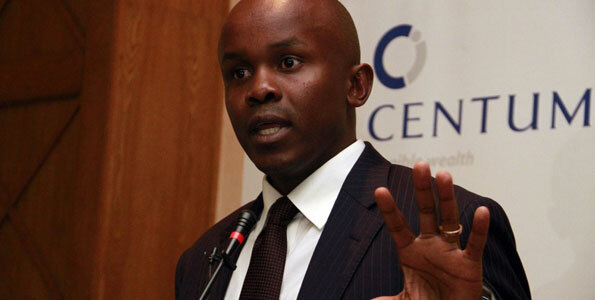 Centum CEO James Mworia, an alumnus of Machakos University was ranked the second top earner in the nation in 2017. According to the Business Daily report, Mworia earned Ksh375.6 million or Sh1 million per day in the year ended March 2017. The said amount is an increase of 87 per cent from what he earned in the previous year. Mworia, who was born in 1978, is an accountant, business executive and lawyer by profession. In September 2016, Mworia was named the highest paid CEO. His earnings have since grown over years until 2018. At that time, he was a student at Machakos University, Doctor of Business (Honoris Causa), Business. He also holds a Bachelor’s degree of Law from the University of Nairobi, Bachelor of Law and CPA (K), Accounting and Finance from Strathmore University. In 2001, he serving as the filing clerk at the current company before he rose through ranks to become the CEO. In 2008, he was named chief executive officer (CEO) when he was 30 years old. In October 2011, he was given the Africa Young Business Leader of the Year 2 award for being among the best performers during that time. He has been a role model to many youths who want to pursue careers in the business sector. He is hardworking and talented. Hate him or love him, the sky is no limit for Mworia.